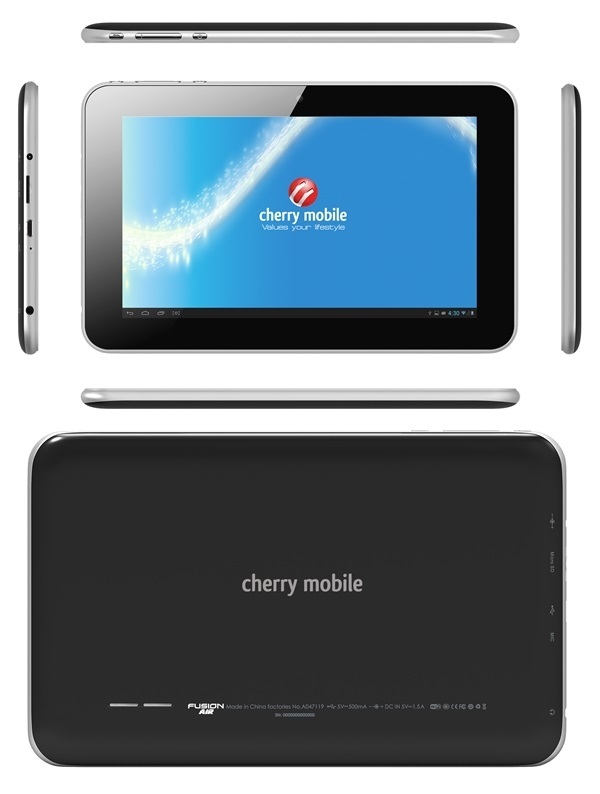 Cherry Mobile unveils their "most affordable Jelly Bean tablet" called the Fusion Air. This 7-incher Fusion baby is only priced at Php 2,999. The promise of its UI's smoothness only relies on the Android 4.2 (Jelly Bean) running the whole show. This sub-3K tablet only has a single 1GHz single-core CPU and 512MB of RAM. The internal memory is still a 4GB affair with expandability option. Battery-wise, a small 2200 mAh might be an issue for continued use. This tablet is pushed by the local fruit company to be the best value 7-incher for every "Juan." They even addressed it to be a "well-deserved" tablet to every Pinoys. With this kind of strategy, Cherry Mobile is gunning for another bestseller like what it did with the Flare and the Bolt. The Cherry Mobile Fusion Air will be available this week in line with the previously reported Superion TV 2.